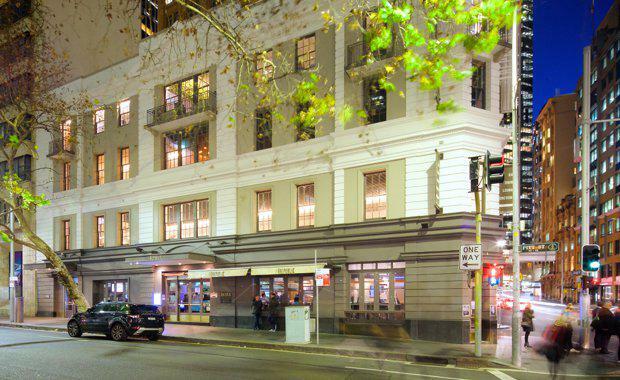 An international property fund has made an off-the-market purchase to acquire The Republic Hotel located on the corner of Pitt street and Bridge Street in Sydney's CBD. The hotel spans three city streets and recently underwent a multi-million dollar renovation, including the introduction of a rooftop bar -- the sale is rumoured to have topped $20 million. The deal saw the well-known hotelier Patrick Ryan enter into an agreement to lease back the business operation of the asset after 17 years of ownership of the four-storey hotel. While the identity of the purchaser and the price they paid remains unconfirmed, Ray White agent Andrew Jolliffe said interest in AAA Grade property in Australia's gateway cities remains robust. "Sydney is enjoying a demonstrable surge in infrastructure investment, and astute investors right throughout our Asia Pacific database have highlighted this point," he said. "We have averaged an exit yield of approximately eight per cent for our clients [and] accordingly restate our view that the considered argument for further yield compression remains likely," Jolliffe said. The Republic Hotel deal is just one of many pub sales in Sydney -- with hospitality "king" Justin Hemmes last week acquiring Vic on the Park in inner-city Marrickville. That hotel was sold by the Australian Pub Fund, backed by high-profile businessmen Mark Carnegie, John Singleton and Geoff Dixon, as they trim their holdings.